Whenever a death occurs in the family, the parish priest or his assistant is to be informed at the earliest. It is advisable that the day and times of the funeral be fixed with the concerned priest before any formalities like communicating the news through the newspapers is done, and other people informed. Before the funeral of the deceased takes place, a certificate of the doctor who attended to the deceased person and together with it the Funeral Service Information form (attached herewith) duly filled needs to be handed over to the parish priest or his assistant or the Church Office. Although we don’t have our church grave-digger, we can give the contact number of the one who does this work. However the concerned party should contact the Church Office for the number of the grave in order to maintain continuity and proper order in the cemetery. The funeral mass needs to be given a special place of importance since the death of a christian is the gateway to the eternal life won by Christ our Redeemer through His salvific passion, death and resurrection. And hence the funeral liturgy should be above all else the special focus of our attention as in it we commemorate and re-enact the same paschal mystery of our redemption. The prayers of the faithful are said in the cemetery. Hence for the funeral mass, we can only have the introduction, offertory or thanksgiving prayer. Eulogy or vote of thanks, if any, may be given by only one person and it is recommended that the same be brief and given after the funeral mass (2 – 4 minutes) duly after being checked by the Church authorities. No individual singing will be allowed during and after mass. If you have anything to say or sing, you can do so in the cemetery with the permission of the parish priest or his assistant. If the family desires to serve refreshments in the church compound or the space outside the cemetery, (especially on the occasion of month’s mind and death anniversary) it is expected that the litter is cleared and disposed in a proper place meant for disposal of waste. After the funeral mass is over, the coffin should be closed at the door of the church and proper decorum is maintained during the burial. If the family of the deceased wants to offer a mass before the completion of one month, you can do so, but we won’t celebrate again on month’s mind. We get our parish diary during Easter. All the parishioners are requested to book the masses (first and third death anniversary) soon after the diary is available in the Church. However if a special mass is given then arrangements are to be made for a lector, choir and Eucharistic ministers. Please don’t wait for last minute to offer the anniversary masses. All the flowers and the candle wax are to be removed and cleanliness is maintained – in the cemetery after seven days of the funeral and anniversary masses. Instead of presenting mementos at death anniversary masses, we highly recommend to offer a gift which can be useful to the church after consulting the Parish Priest. 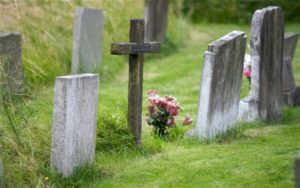 If the family wishes to reserve a niche for a deceased member of the family, the same may be booked at the parish office as early as possible by paying an amount of Rs. 10,000/-. The mortal remains may be removed after completion of three years, and they are to be placed in the niche, the number of which is specified on the payment receipt.